The Affiliate Summit West is coming to Las Vegas January 9-11. For those not in the know, it's a sort of convention for people who like to sell stuff on the internet. If you haven't noticed, I sell a few things on this site and on other sites I have too. 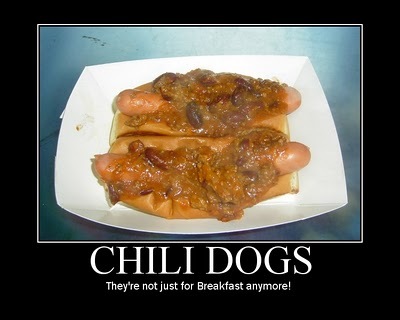 Since I started in the online Hot Dog Business in 2007, this site has become very popular for wanna be hot dog vendors. I am not saying I dominate this funky little niche market, but I have built a nice little online business promoting the "hot dog lifestyle." While building this online, hot dog empire, I have been struggling to make internet marketing a full time occupation and I am a little more than half way there; I feel like I need that extra "something" that will push me over the top. That something could be hanging with the heavy hitters in the online marketing world. I am writing this post because I have a shot at winning Shoemoney's Crazy Affiliate Summit West Contest. Winning this contest would get me direct access to the "rockstars" of the affiliate marketing industry and provide me the opportunity to learn from the best of the best. Just like any other venture, sometimes it's not what you know, but who you know. Hanging out with the likes of Shoemoney could get my sites the kind of exposure you just can't buy. I have big plans for one of my other sites, Hot Dog Stories, and I hope to learn about how I can leverage my unique content into some big dollars, whether it's through advertising, affiliate sales, or a combination of a bunch of different monetizing ideas. Hot Dog Stories has been a popular site and I think it will get bigger in 2011 when we go to video. I want it to be a big success and the exposure I can get at Affiliate Summit from Shoemoney and other "big time" internet experts will give the site a nice boost. There are some other perks to winning this contest; most notably the opportunity to bet $2000 on one hand of Blackjack! The last time I bet that kind of money on a hand of Blackjack was at the Desert Inn, the hotel that was demolished to build Wynn Las Vegas, which happens to be the hotel where Affiliate Summit is taking place. This was in the late 80's: I was single, childless, carefree, and a bit of a high roller at the time. Getting the opportunity, even for one hand, to roll like I used to "back in the day" would make the whole contest worth it, even without all the other stuff. The whole karmic, circle of (Vegas) life story line would fill these pages for a few weeks too- I might even include a rant on what a crappy rule the "dealer hits soft 17" is. In order to win the contest, I have to convince Shoemoney's staff that I deserve to win. I am hoping the Blackjack thing will be enough, but I doubt it, so I will continue to plead my case. I imagine I will be somewhat unique at Affiliate Summit. Many attendees will be the kind of folks who sell stuff to people who want to learn how to sell stuff to other people online. I want to learn more about that, but I don't want to be another "make money online" marketer. There are plenty of them and they do it better than I ever could. I want to use my time at the Affiliate Summit to network and meet people in the industry that I can form partnerships with. I want exposure and there will be plenty of other people there looking for the same thing. If I can meet up with enough people, we should all be able to help each other. I would also relish the experience of doing a "Celebrity Hot Dog Story" with some of the internet "stars," like Shoemoney, who will be in attendance. The access I would have to these kinds of folks would make it easier to accomplish this goal. Another reason I'd like to win is the food. If I win, I get a Platinum pass which means I'd get breakfast and lunch during the conference. I probably won't have time to do Hot Dog Stories during the show as the meal breaks are only an hour, so I'll need to nourish myself for the long nights of munching hot dogs, partying and gambling. So why should the judges pick me? First and foremost, I would bet the whole $2000 on the Blackjack hand. I would NOT take $1000 and walk. If I won, I would give $1000 to the Boys and Girls Club of Metrowest; I used to collect cash for them at my Hot Dog Truck and I truly believe in the work they do with children. I'd put $1000 aside for bills and I'd take $1000 and have an obscene dinner with Shoemoney, the founder of the feast-so to speak- and his staff. The other $1000 would be brought to the craps table; any winnings there would be divvied out accordingly! Shoemoney said winning this contest could "really change the life of the winner." I like my life and I wouldn't change much, but the kind of change he's talking about would be a good thing, as long as the Las Vegas PD didn't get involved. I'd get lots of publicity for my sites and I would do whatever I could to use my exposure to help other bloggers too. I am a "master partier." Vegas, and Affiliate Summit, are all about partying. I can drink most people under the table, gamble until dawn and I have a ton of funny stories about a wide variety of topics from the wonder of children to the "less than savory" variety. If you want a fun guy to win this prize, I am the guy! I have been following Shoemoney since I started out blogging and I owe a chunk of my success to his informative site. At the very least, I'd like to thank him personally for all the help he has given me over the years. I would also publicize the living crap out of Shoemoney (like he needs it) and any other folks I encounter at the Summit. If I won, there would be weeks worth of posts on this blog (in addition to any Hot Dog Stories). When I make it big(ger), Shoemoney can say "hey, look what I did for this schmuck, imagine what I can do for YOU?" Winning this contest would mean the world to me and my family. I am sure it would help increase my internet presence and income. This would make my very lovely wife happy. When she's happy, I'm happy! Before find your site, I had no aspirations to be a hot dog vendor. That might have changed. Hot dogs are cool. I came here to absorb the knowledge that you provide on this blog. I'm so glad to find this blog and read interesting articles. Good luck Rob!! Not only have you proved yourself to be a driven successful man, you also have helped many others with your talent and business experience. I wish you much luck and hopefully we will read your blog about your travels if you win!! Diezy's Dogs!! Thanks, Di. Stopped by the Trolley last week, but it was before 11:30. I'll be back soon- WITH VIDEO!